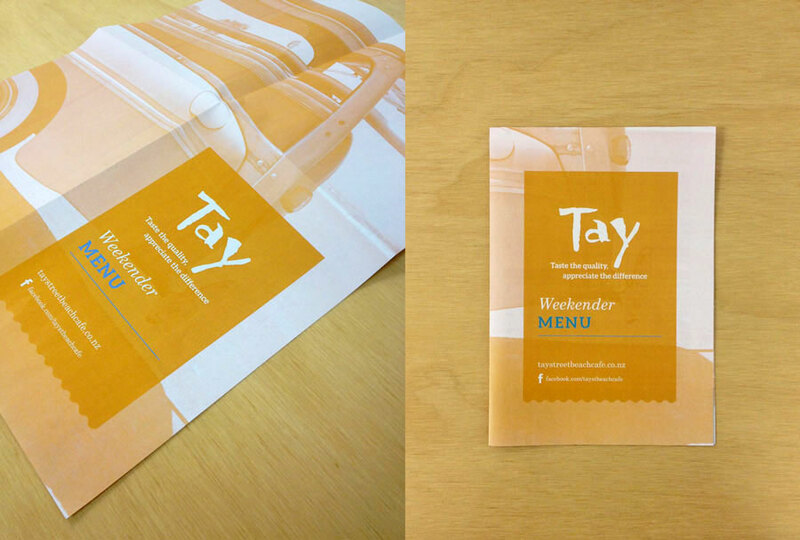 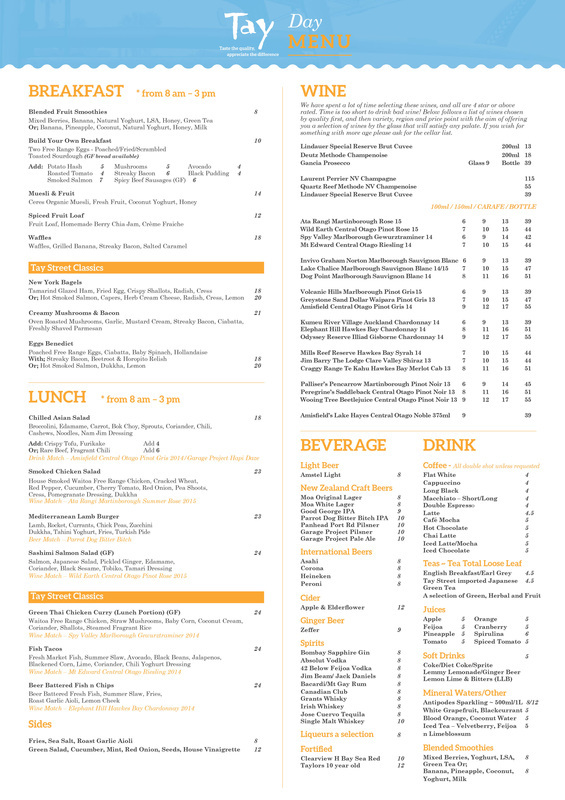 We were approached by the award-winning Tay Street Beach Cafe to redesign their menus to match their existing branding. 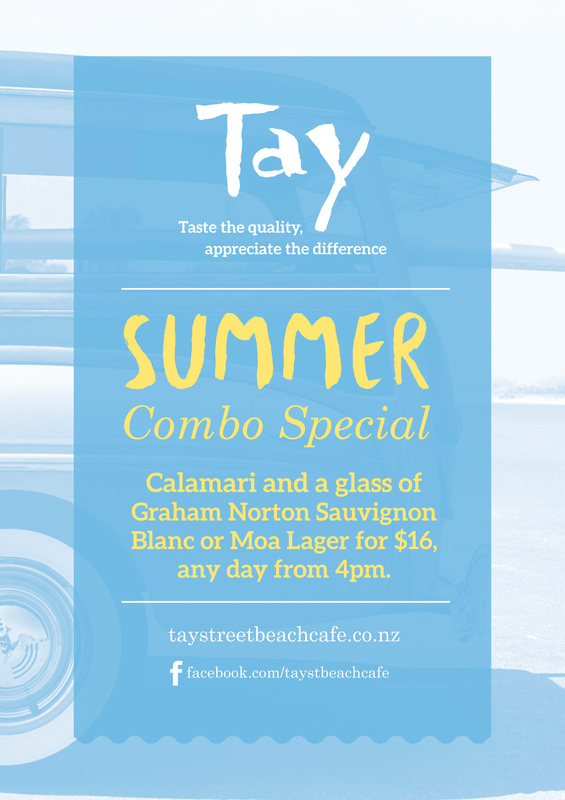 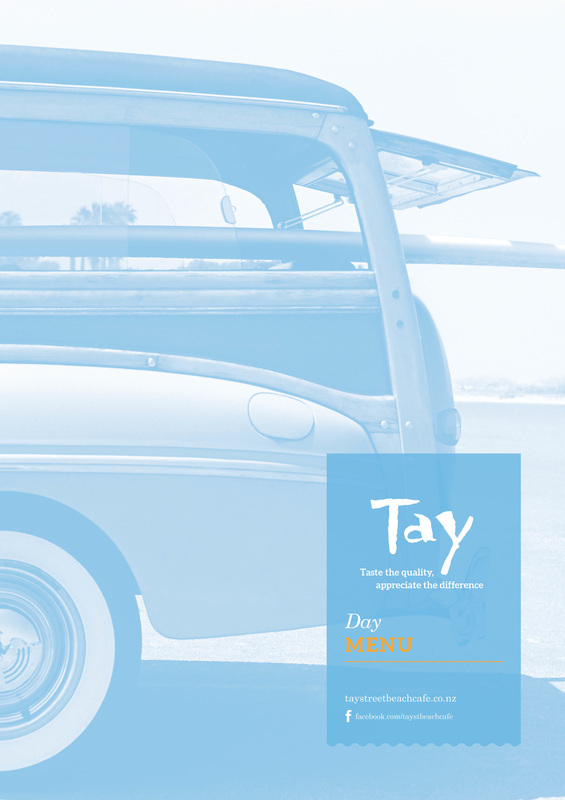 Using imagery that reflects Tay's proximity to the world famous Mount beach and core clientele of surfers and beach-goers, we opted for a fun, summer-infused font, colour scheme and design. 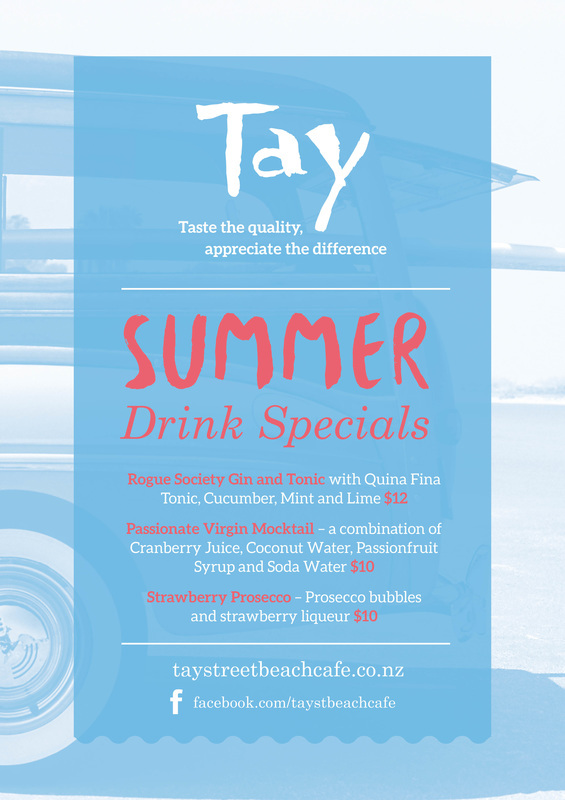 We also created a couple of 'specials' posters for them for use over the summer months.